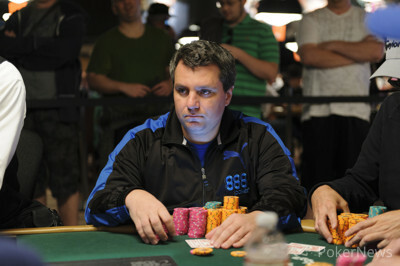 Ashly Butler has claimed another victim at this final table. 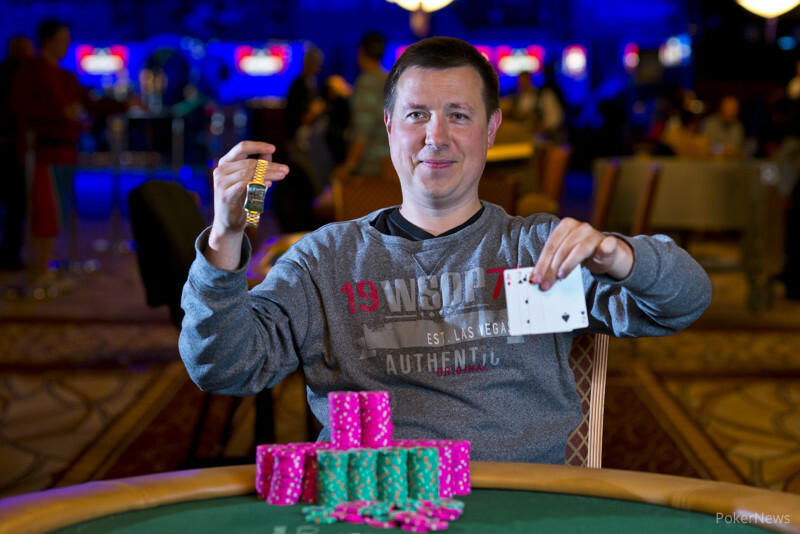 Butler raised to 60,000 after action folded to his small blind, and Andrey Zaichenko made the call. Butler then checked the flop, and Zaichenko moved all in. Butler nearly beat him into the pot. Zaichenko had flopped a wrap straight draw, while Butler had top pair with top kicker. The turn was a , a beautiful card for Butler since he now closed out many of Zaichenko's outs with his flush and low draw. The river sealed Zaichenko's fate.